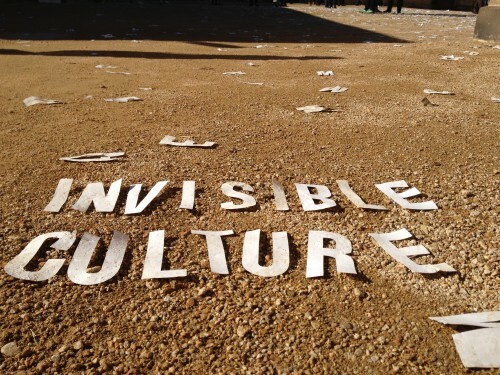 For its twenty-fourth issue, InVisible Culture: An Electronic Journal for Visual Culture invites scholarly articles and creative works that explore the concept of vulnerability. Almost two weeks after Thomas Eric Duncan’s plane landed in Dallas from Liberia in late September, the Centers for Disease Control announced the first case of Ebola in the United States. News feeds immediately jumped at the report, the Dow Jones plunged 266 points and petitions to ban flights from Ebola-stricken countries have since been circulating across social media platforms. From ISIS to the crisis in Ukraine to employment security, the media’s pronouncement of threats posed by vulnerabilities (and certain invisibilities) are ubiquitous. It is worth considering, however, what the stakes are in maintaining such rhetoric, and whether it is possible to imagine alternatives. As urgency slips into a normative state of being, for Issue 24, we would like contributors to explore the various meanings of vulnerability. Are there critical practices which uniquely encourage or discourage vulnerability? Can we imagine vulnerability as a position of power? How does visual culture hold accountable social or political processes that produce states of precarity? What are the stakes in protecting technological vulnerabilities? How does the diffusion of images enable personal and social vulnerabilities? Please send completed papers (with references following the guidelines from the Chicago Manual of Style) of between 4,000 and 10,000 words to ivc[dot]rochester[at]gmail[dot]com by March 20th, 2015. Inquiries should be sent to the same address.